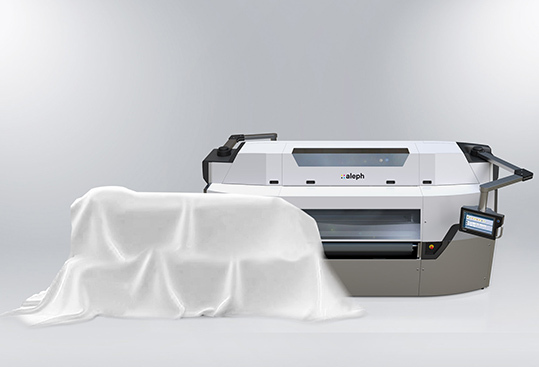 Aleph,a manufacturer of digital printers for sublimation and direct-to-fabric textile printing, will showcase its latest solutions addressed to the visual communication market at FESPA Global Print Expo 2019 (Munich, Germany – 14-17th May 2019). 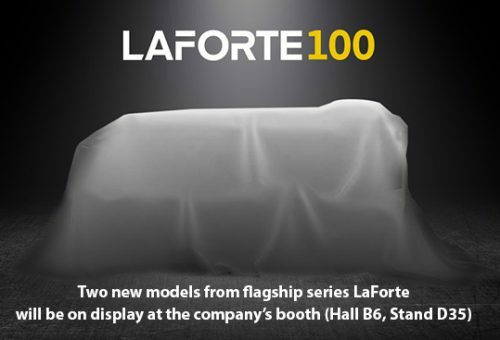 Two new models from flagship series LaForte will be on display at the company’s booth (Hall B6, Stand D35): LaForte 400, a high-productive printing system equipped with pigment inks for blue-back paper, and LaForte 100, a dye sublimation entry level printer. “Our R&D team has been working hard over the past years to enhance and consolidate LaForte series, enabling Aleph to address different market segments. Thus, at FESPA Global Print Expo we will be focused on the out of home and soft signage industries”, comments Alessandro Manes, CEO at Aleph. “With the company’s goal being to strengthen its presence in those strategic areas of the printing business, the two LaForte models under the spotlight at the show are designed to respond to the current requirements of large format printing companies operating in the visual communication industry”. 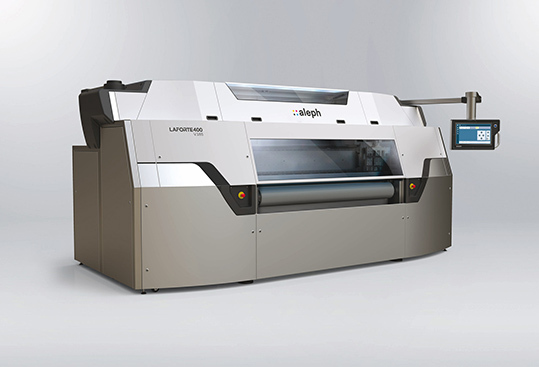 Central to Aleph’s strategy at FESPA, LaForte 400 Paper is an inkjet printing solution designed to enable efficient and cost-effective high-volume production in the visual communication market. Delivering an excellent speed – up to 600 sqm/h –, LaForte 400 features water-based pigment inks and displays 8 to 16 printheads – the number of printheads is adjustable based on the production volumes and needs. LaForte 400 is equipped with variable drop technology (with drop size ranging from 4 to 72pl) and prints at 1200 dpi resolution. At FESPA, Aleph will exhibit a complete production line, featuring: LaForte Unwinder Paper, a proprietary feeding system that supports jumbo reels (up to 1 m roll diameter and 1.000 kg roll weight), LaForte 400 printer (equipped with 16 printheads), a proprietary drying system and a cutting system from Italian company Fotoba. Debuting at FESPA, LaForte 100 is a versatile and productive inkjet printing system. A water-based dye-sublimation entry-level solution with production speed up to 160 sqm/h, LaForte 100 addresses the out of home sector and is ideal to produce posters, billboards and soft signage applications, as well as fast fashion and sportswear items. 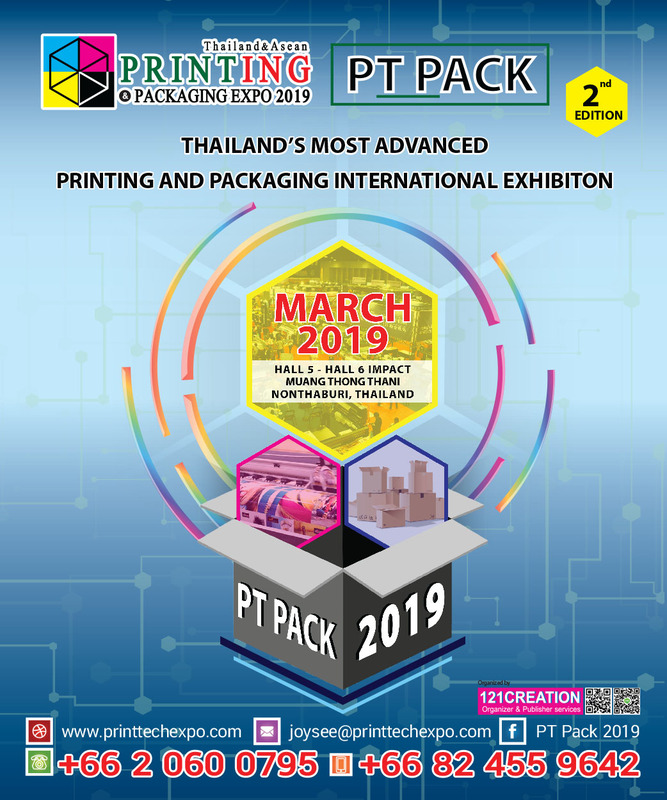 Featuring 4 to 8 printheads, it is equipped with a patented rotary belt with vacuum system, which enables to print on paper with grammage starting from 10 gsm. Offering robustness and stability in production, LaForte 100 is designed for those large format printing companies aiming to diversify their product portfolio and to explore new market segments. Where technological development is central to Aleph’s vision, the company also focuses on the environmental sustainability issue. In fact, at FESPA 2019 Aleph will highlight its new water-based pigment inks. Developed in partnership with a specialist ink producer, the new inks are designed to address the requirements of printing on blue-back paper and to offer fastness and colour vibrancy. Featuring high pigment concentration, they allow a reduced use of ink to reach outstanding prints with no colour bleeding. “We are excited to attend FESPA 2019 as it represents a fantastic opportunity to showcase our cutting-edge technology, which has enabled us to grow internationally – we placed 54 printers in Italy and abroad over the last two years. Our objective is to keep growing in different market segments, in order to establish ourselves as a leading player offering pioneering and environmentally-friendly printing solutions together with outstanding aftersales services,” Manes concludes. Visitors will be able to check the quality of Aleph technology live at FESPA Global Print Expo: the Como-based company is responsible for the design and the print of the scarves and ties worn by FESPA team during the show.